Barnsley smashed its targets for economic growth in the last twelve months and attracted nearly three times more new businesses to the borough than expected. Official figures show property enquiries from companies interested in relocating were up more than 50 per cent on the previous year and led directly to 23 new businesses moving to Barnsley. This means Barnsley achieved its highest level of inward investment in seven years with nearly 805,000 square foot of additional commercial space taken and £32 million worth of private sector investment in premises, equipment and machinery. This movement of new employers into the borough, combined with the growth of hundreds of existing businesses and the creation of 121 start-ups, means Barnsley gained 1,385 new private sector jobs in the last 12 months. Enterprising Barnsley, the economic development arm of Barnsley Council, which provides specialist support to businesses with growth potential, now aims to repeat that performance and help create an additional 1,300 private sector jobs in 2016/17. Executive Director Matt Gladstone, who heads up Enterprising Barnsley as part of Barnsley Council, said: “We are proud to have worked in partnership with so many new and existing Barnsley businesses who through hard work, innovation and ambition have invested in growth and created jobs in the last 12 months. “We’re particularly pleased to have attracted so many new companies to the borough. It’s good to see that national and international businesses looking for somewhere to grow are liking what they see in Barnsley. “We’re in a great location at the heart of the Sheffield City Region and there has been significant investment in new business parks and infrastructure in recent years. On top of that we offer award-winning business support to help with relocation, recruitment, access to finance and other business matters. Companies which have moved to Barnsley in the last year include cross-media marketing specialists Rethink CMYK, who have invested half a million in their new digital print and production workspace at Shortwood Business Park in Hoyland and aim to create seven new skilled jobs this year; and specialist machinery supplier MOBA which has moved its national HQ to Park Springs industrial estate near Grimethorpe and aims to recruit 20 people within the next five years. 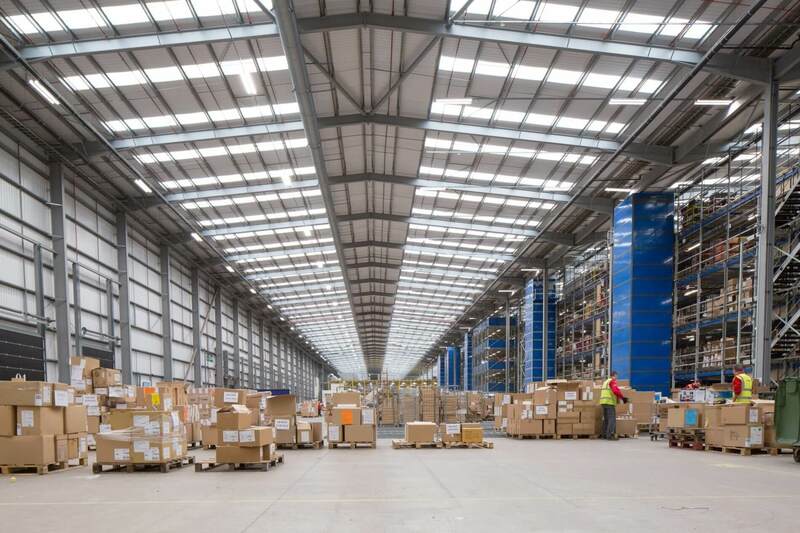 Universal Components UK, global distributor of truck and commercial vehicle parts, is also expanding from Sheffield in to a new purpose built 165,000 sq ft advanced logistics facility at Ashroyd Business Park in Barnsley this year. And established Barnsley business Melett Ltd, which supplies turbocharger parts to international customers, has recently taken on an additional 12,500 sq ft of warehouse space next to its HQ at Barnsley’s Zenith Business Park. This expansion has enabled them to increase stock availability in response to growing demand. Enterprising Barnsley has now relaunched its business support programme and set out its aims for the next 12 months which include supporting the creation of 140 new Barnsley businesses and the creation of 1,300 new jobs. A key part of this year’s economic growth strategy is to attract businesses to three newly-developed industrial units near junction 36 of the M1, part of the R- evolution @Gateway 36 mixed-use scheme. These properties, between 13,000 sq ft and 30,000 sq ft, have been developed by Harworth Estates and supported by Barnsley Council’s Property Investment Fund. Enterprising Barnsley was awarded the top national award for Driving Growth by the Local Government Chronicle last month. The Barnsley team beat off stiff competition from other local authorities for the way they work with the private sector to support growth and job creation. Enterprising Barnsley, which supported 300 Barnsley businesses last year, aims to help businesses across the borough develop and expand; generating economic growth and creating jobs. It provides specialist support to private sector investors moving to the borough; existing Barnsley-based businesses with ambitions to expand; and entrepreneurs launching start-up commercial ventures. Barnsley’s economic development figures are published by Barnsley Council which has a four year plan for economic growth set out in its Jobs and Business Plan 2014 -2017. Enterprising Barnsley, part of Barnsley Council, assists companies with relocation to the borough; business development; access to finance; business start-up and much more. Its award-winning team provides a practical link between business owners and a wide range of resources and support available to them in Barnsley. It can help businesses access specialist coaching support. It also funds and delivers a range of business events and workshops. Barnsley is a part of the Sheffield City Region where the LEP’s ten year vision is to create 70,000 jobs and 6,000 new businesses through public and private sector collaboration and investment. Media contact: Steph Pollard 01226 766900 or at steph@capitalbmedia.co.uk or 0776 196 4492.